In 1992, Public Allies﻿ was co-founded by Vanessa Kirsch, who later went on to found our very own New Profit. 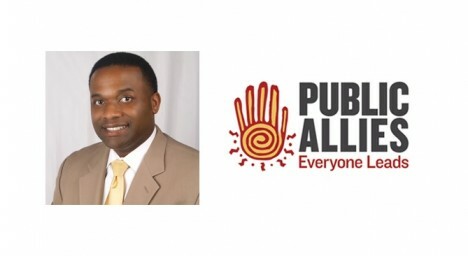 Today, after 15 years of tremendous service by outgoing rockstar Paul Schmitz, Public Allies announced their newest CEO, Arden O. Wilson, Ph.D.
"Wilson most recently led workforce development and community college retention efforts as Gulf Coast Regional Director for Single Stop USA. Previously, he developed transformational leaders for public schools as Executive Director of New Leaders Greater New Orleans, worked to end persistent poverty in the South by leading the Equity and Inclusion Campaign, and trained thousands of young leaders to advocate for and serve the needs of vulnerable youth as National Director of Youth and Student Leadership at The Children’s Defense Fund." Click here for the full announcement on his appointment. We wish Dr. Wilson nothing but the best as he takes the helm of Public Allies, and nothing but the best for Paul Schmitz as he moves onto his next undoubtedly amazing adventure. About Public Allies: Public Allies’ mission is to advance new leaders to strengthen communities, nonprofits, and civic participation. Its signature AmeriCorps program recruits diverse young adults with a passion to make a difference and provides them paid, full-time, nonprofit apprenticeships and rigorous leadership development to turn that passion into a career working for community and social change. Since 1992, over 5,600 Allies – more than two-thirds people of color – have completed the program, and more than 85% have continued careers in the nonprofit and public sectors. Public Allies is headquartered in Milwaukee, Wisconsin, and operates in 23 communities across the country.